The Dreamland theme park site in Margate has been sold to a developer who wants to use the land to build a hotel, flats, shops and restaurants. Jimmy Godden sold the Kent attraction to The Margate Town Centre Regeneration Company for a sum reported to be £20m. 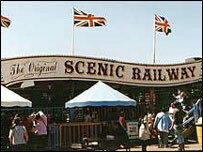 The new owner has not confirmed whether the Scenic Railway will be incorporated in the plans but stressed the famous rollercoaster's listed status. 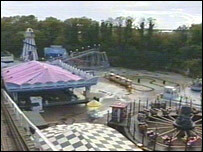 Dreamland opened in the 1920s and is now the subject of a public inquiry. Mr Godden, said: "It is very obvious to all concerned that the development is going to be quite large and quite demanding and I felt it appropriate to talk to various property companies. "Everybody from the local authority to the South East England Development Agency and English Partnerships realise that is has got to be a developed for the sake of Margate." The main shareholder of the Margate Town Centre Regeneration Company is the Waterside Group. Its chairman, Toby Hunter, said: "It is going to be a fantastic mix of leisure, restaurants, retail and accommodation. "The Scenic Railway is listed - whether it is relevant or the most exciting tourist-led attraction we will have to wait and see. "We want the site to promote Margate for the future rather than it be retrospective. "We just have to see whether the Scenic Railway is too much of a retrospective or whether it is going to promote the right sort of vibe and feeling for the future development," he said. Mr Hunter said the company envisaged submitting a planning application for the site in 2006 with development earmarked for 2007. Campaigners have fought to save Dreamland from closure and said they wanted to see the leisure park revived rather than turned into housing.